Are You Smarter Than a Buck in the Rut? The best time to hunt deer is when the animals are most active, and you are not going to find a more active period than during the mating period, known as the rut, which normally occurs in the last week of October and first week of November in most places. The rut represents prime hunting season, the time of year when the biggest bucks compete for does in nearby areas. As we pointed out in a previous story on food plots, deer are attracted to areas with clover, wild peas and any number of grasses, so you’ll want to first find an area where deer have been feeding. The next step is to locate an area about 50 yards from this site where a buck might have rubbed up against a tree. This is where the big guy is intimidating his rivals and hatching a plan to approach a doe. Here you should be able to find a trail where the animal is coming and going. Somewhere off this trail, not too close and downwind is where you want to position a tree stand. There’s a good chance that a buck will come into this staging area to scent check the area at the feeding plot. They tend to wait until the last touch of light so being in the stand at sundown and sun up will give you the best chances. Now a couple of things that can make you smarter than a big buck in the rut. Keep in mind these bucks are in the mood to mate so they are not thinking too straight. That doesn’t mean they will let their guard down, it just means that you have to consider that they are highly active and easily driven to different areas. Let’s say you happen to shoot and miss on an animal. Now that you’ve put pressure, that buck is likely to not come back to the area for some time. It’s important to give an area some rest before returning to the hunting grounds as you could drive animals even further away. Another common mistake is to follow an animal in a particular area one year and assume that it will return to the same area the next. Often times, animals are driven to new grounds due to competition and it’s imperative as a hunter to adjust to these movements. 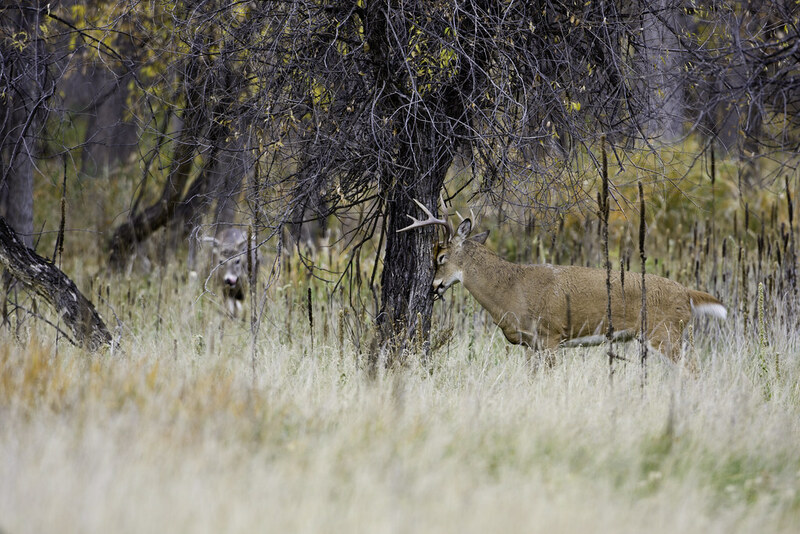 Changing your game from waiting in a stand to spot and stalk should improve your chances.